He fell silent, and we both took long swigs from cold bottles of El Presidente, the local beer. I knew I had him. I’d spent some time on polo ponies and, though I did not necessarily believe my hypothesis, I’d had this discussion before. It helps me justify how poorly I play golf. I savored the remains of my first day at the only resort in the Caribbean where one can play a world-class golf course in the morning and watch world-class polo in the afternoon. Casa de Campo is a worry-free oasis where play is the operative word and the focus is on the next tennis match, round of golf, or deep-sea fishing trip–or choosing from nearly a dozen places to dine. Resort facilities include the Equestrian Center, where guests can take riding or polo lessons or go on trail rides; the La Terraza Tennis Center, with 13 lighted courts and staff of 32 ball boys, 16 instructors and eight teaching pros; the Shooting Centre, which includes a world-class sporting clays layout and an African-themed Safari Club Restaurant and bar; the 350-slip Marina and Yacht Club, the centerpiece of a community with residences and a shop-lined plaza; three swimming pools, including a free-form pool with swim-up bar; ten restaurants; and nine lounges. Private jets and commercial planes touch down at the modern La Romana International Airport 10 minutes from the resort. In no time, guests are settled in their choice of villas (many with staffs) or airy casitas decorated in bright tropical prints. The first to enjoy the luxuries of this 7,000-acre enclave were friends of the late Charles Bluhdorn, Gulf +Western’s founder and CEO, who built the retreat in 1974. After his death, the Cuban-American Fanjul family (the world’s top sugar barons), bought Casa and opened it to paying guests. Without compromising the feeling of exclusivity, they’ve developed it into what may very well be the Caribbean’s most complete resort. 1970s, when they guided 300 local laborers with machetes to blaze the “Diente del Perro,” (Teeth of the Dog) through the jungle and along a rocky coast. It remains the only Caribbean course consistently ranked in the world’s top 50 courses. 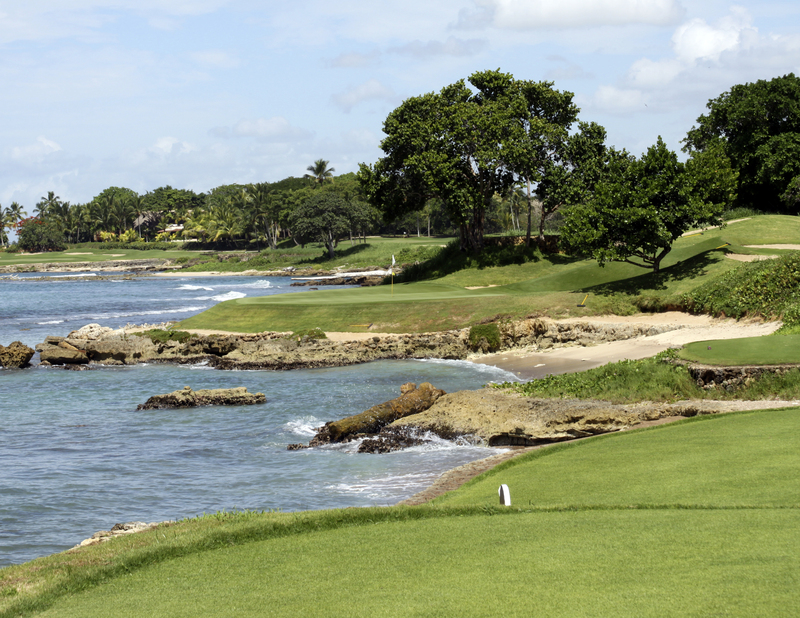 The Links Course and the members-only La Romana are inland layouts dotted with lakes. 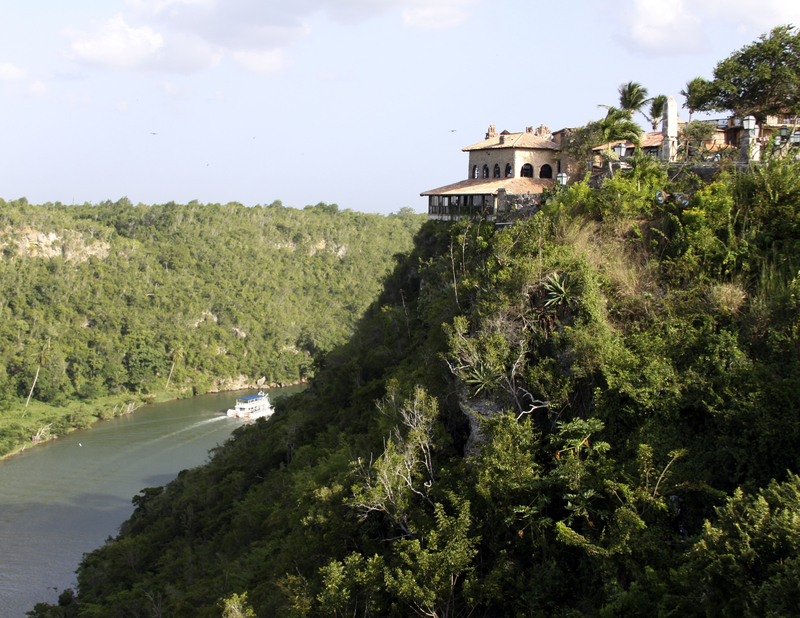 Dye’s newest course, the much-acclaimed “Dye Fore,” skirts cliffs 300 feet above the Chavon River, with views of the village of Altos de Chavon, distant mountains and the marina. The resort’s Altos de Chavon, a remarkable clifftop recreation of a 16th-century Mediterranean village, houses shops and restaurants in quaint buildings around a cobblestone plaza. The village also contains a 5,000-seat Roman-style amphitheater where operas and musical shows such as the popular Kandela are held. On my last afternoon at Casa, I was again drawn to the grandstand alongside one of resort’s three polo fields. 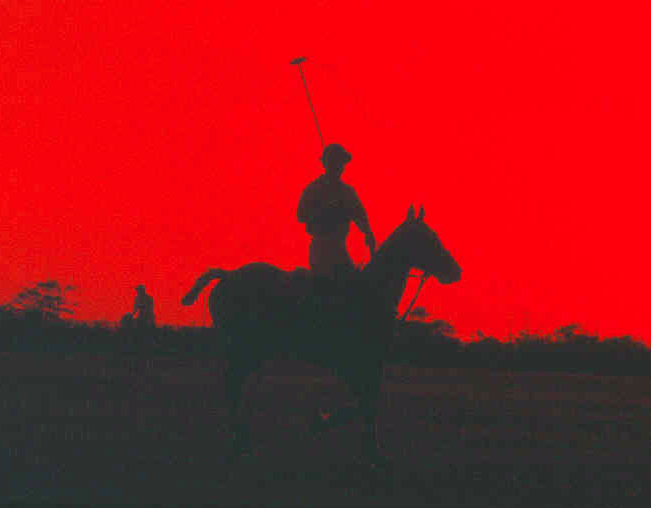 The sunset cast a red glow across the field and the players moved like centaurs in the dimming light. The fellow I’d met earlier was there. He motioned the attendant to bring me a cold one, and we solemnly clinked the frosty, long-necked bottles. “I thought about what you said,” he admitted, “and I have to say the scenery on the golf course is better than that on the polo field, even a field like this one. For more information visit www.casadecampo.com.